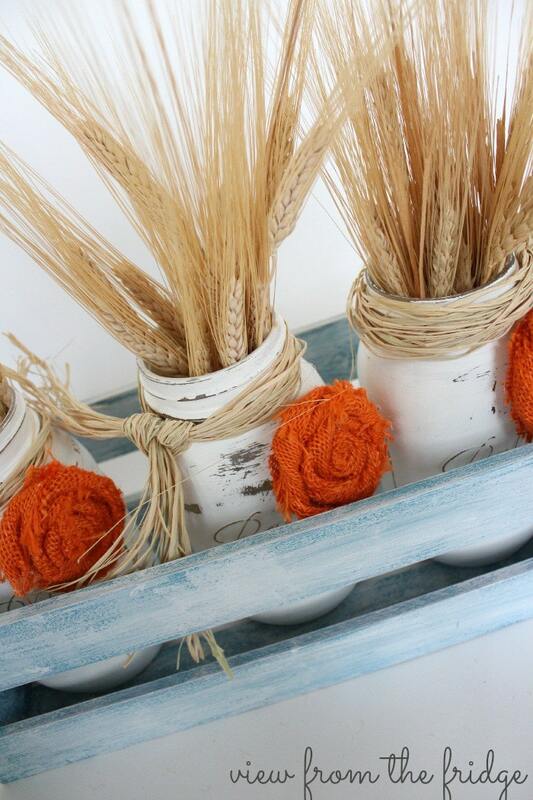 We have gathered together a few ideas to decorate with mason jars for Fall. 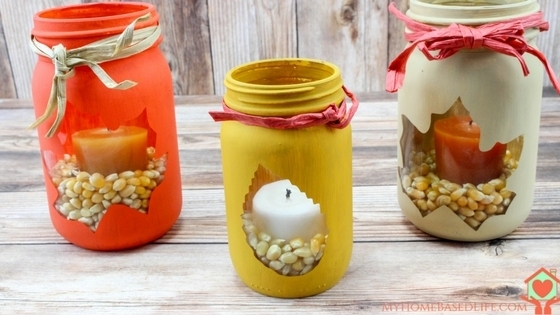 These 19 Fun and Easy Fall Mason Jar Crafts will rock your fall decor. This post may contain affiliate links which means if you purchase we might make a small commission at no additional cost to you. Fall is one of our favorite times of the year for us here on the ranch. As soon as September rolls around, we drag out the colorful leaves, acorns and all things orange and yellow for our Fall Decorations. It’s 3 months of all things fall from now until after Thanksgiving when the Christmas season swoops in. 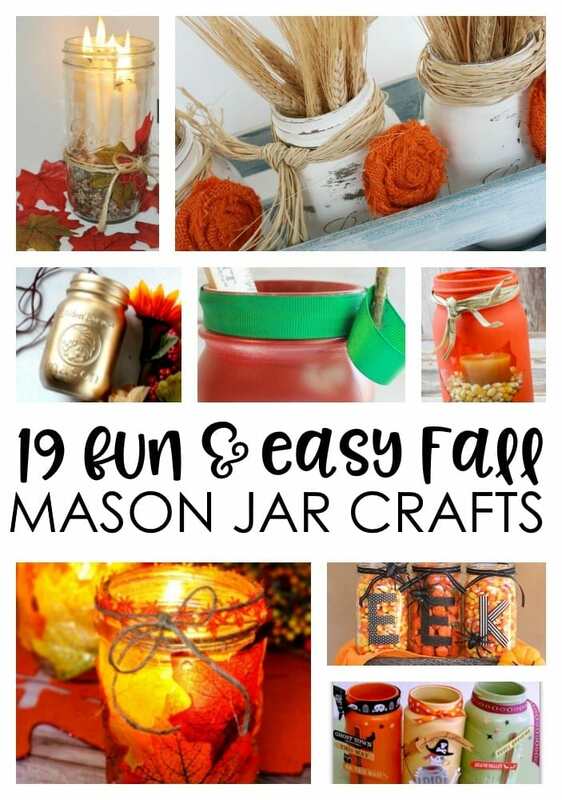 We have asked some of our favorite bloggers to share their ideas for mason jar crafts for Fall. 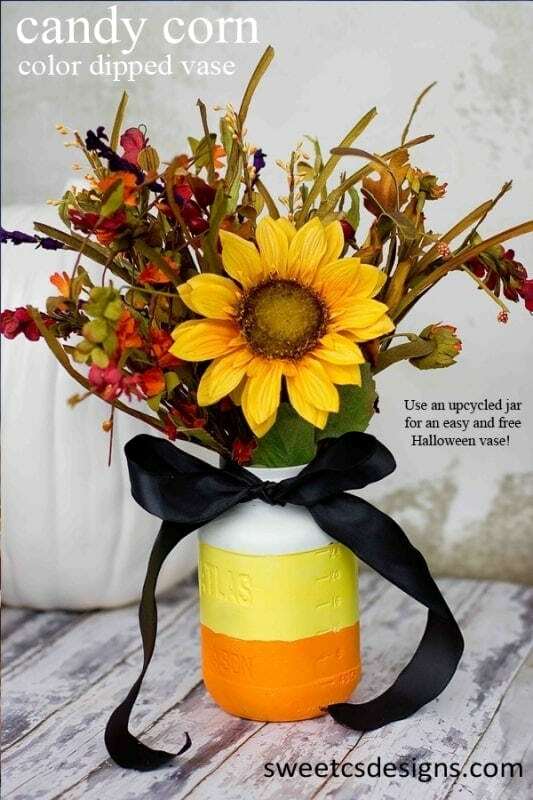 They have responded with gorgeous centerpieces, mason jar flowers, mason jar candy containers, and other fun ideas for some cute mason jars. 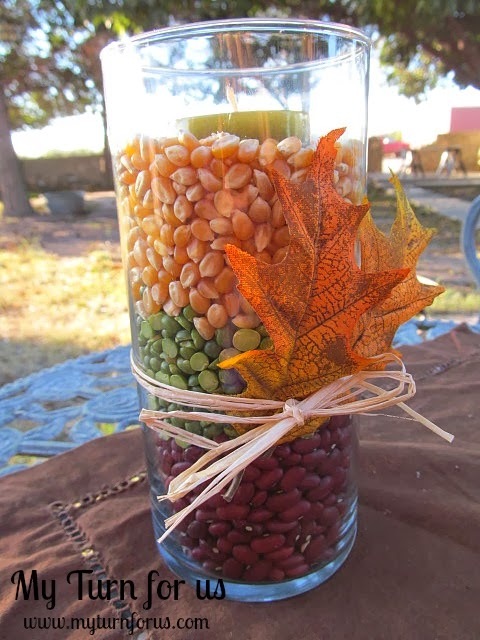 Here is a really pretty Fall Mason Jar Centerpiece from Oh My Creative. 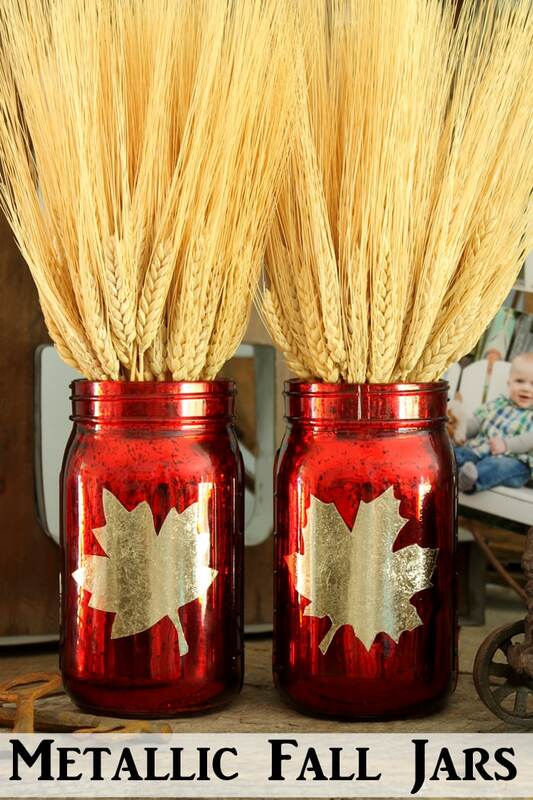 These Metalic Fall Jars from Country Chic Cottage are just gorgeous. 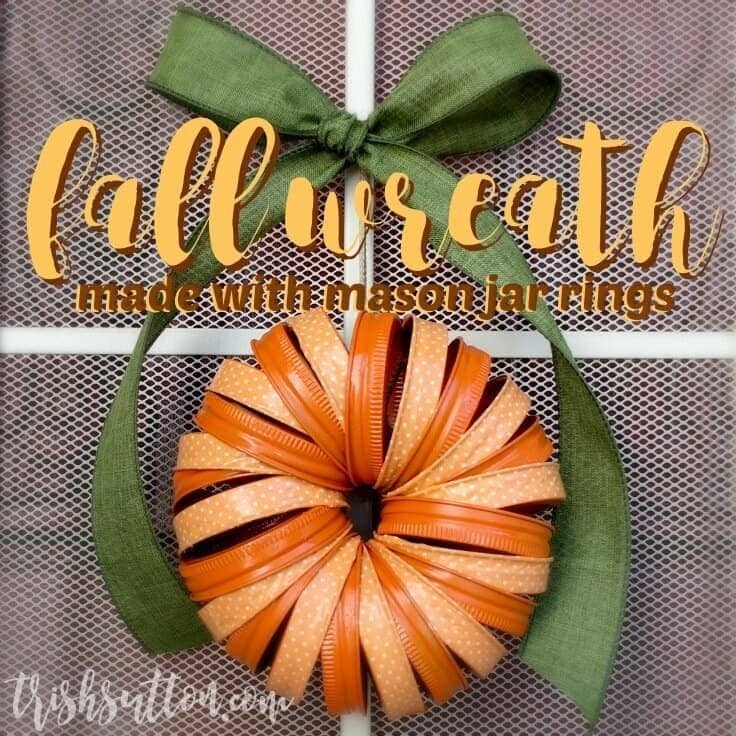 Create this really cute Mason Jar Lid Wreath from Kenarry. 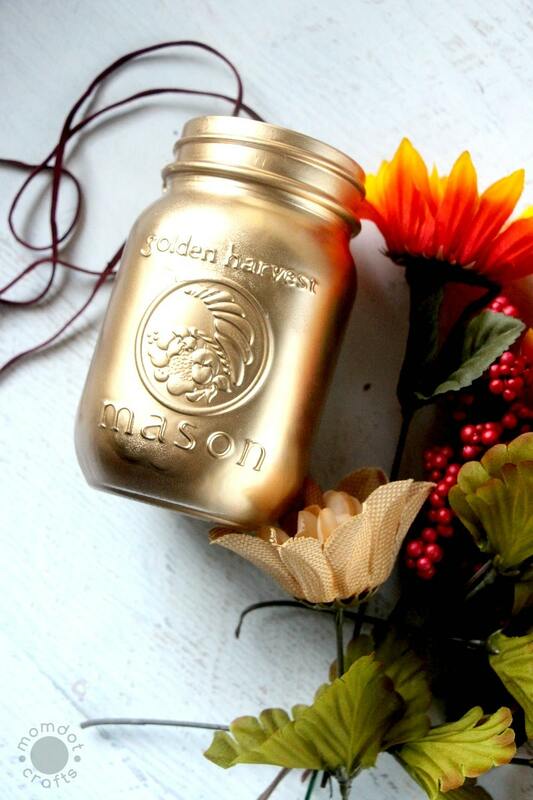 For a glam Fall centerpiece, make these Gold Painted Mason Jars from Mom Dot. 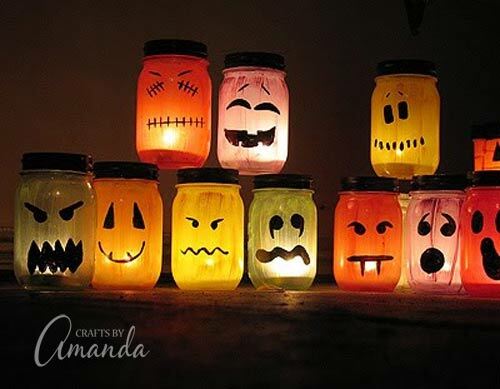 Dear Creatives made some really cute Halloween Scene Mason Jars. 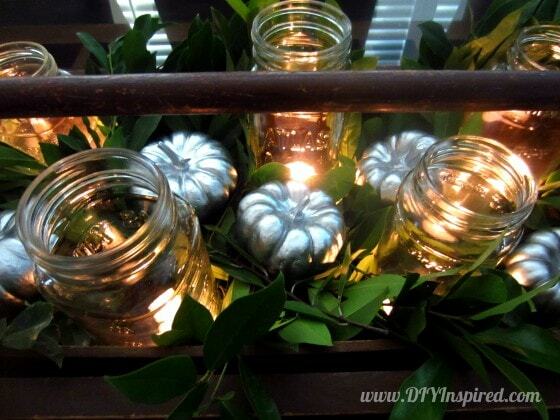 I love this Easy Fall Centerpiece with mason jar votives from DIY Inspired. 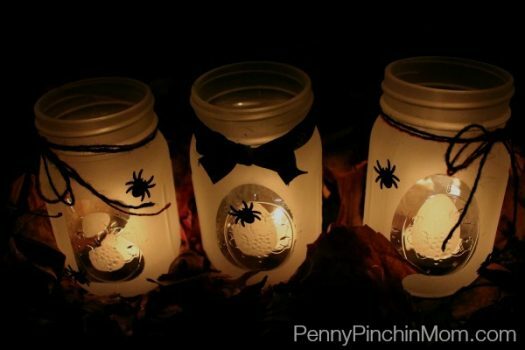 Next up for Halloween, we have these cute Halloween Mason Jar Lanterns from The Penny Pinchin Mom. 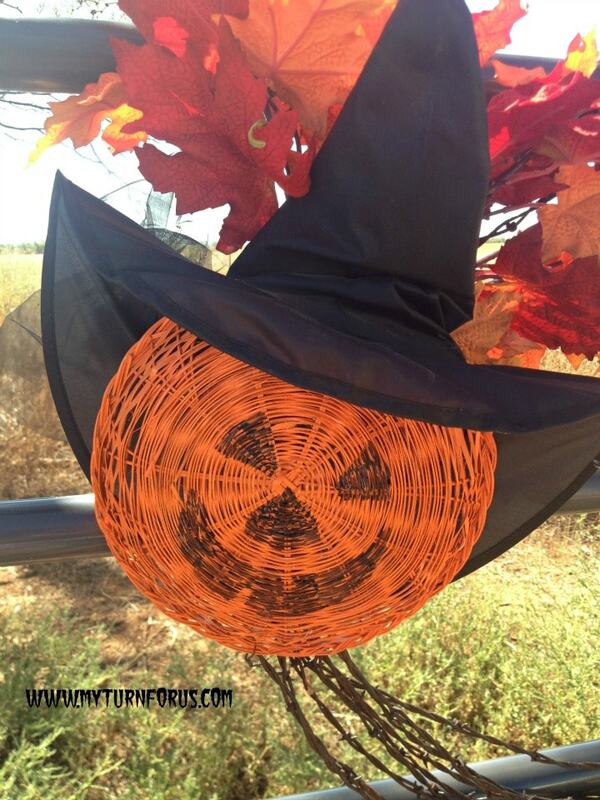 This Scarecrow Mason Jar is just darling. 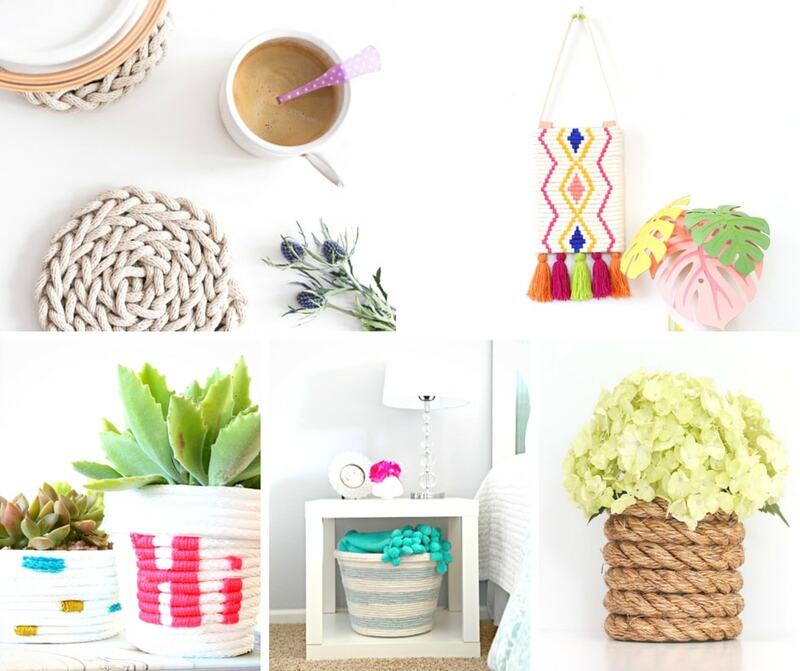 Mom Confessions also created these pretty Mason Jar Candelabras that are so pretty! 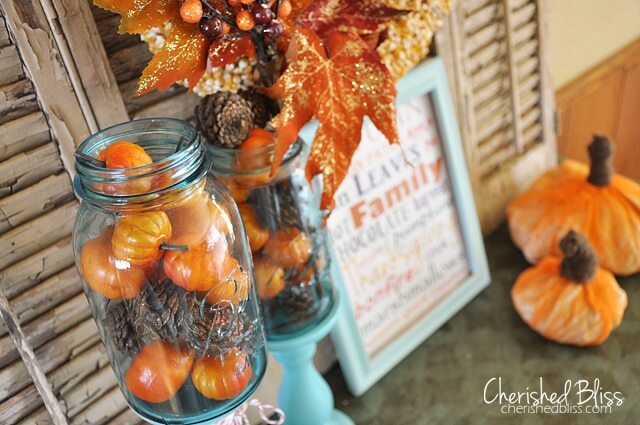 This mantle from Cherished Bliss with Agua mason jars filled with pumpkins is just lovely. 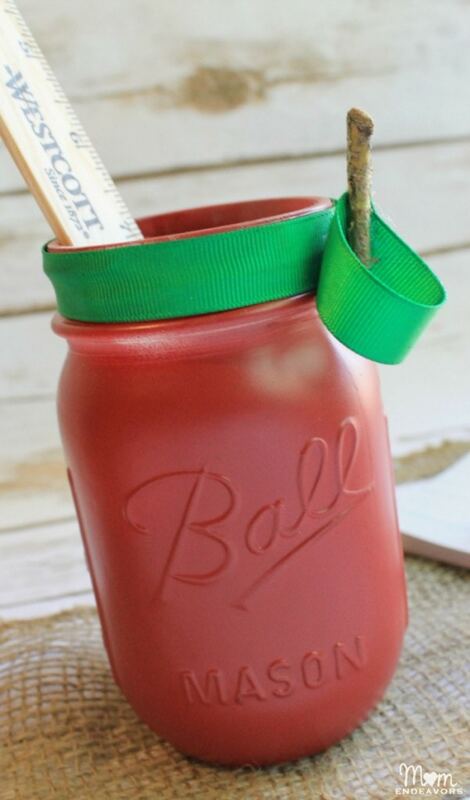 This DIY Apple Mason Jar doubles as Fall decor and a really great teacher gift. 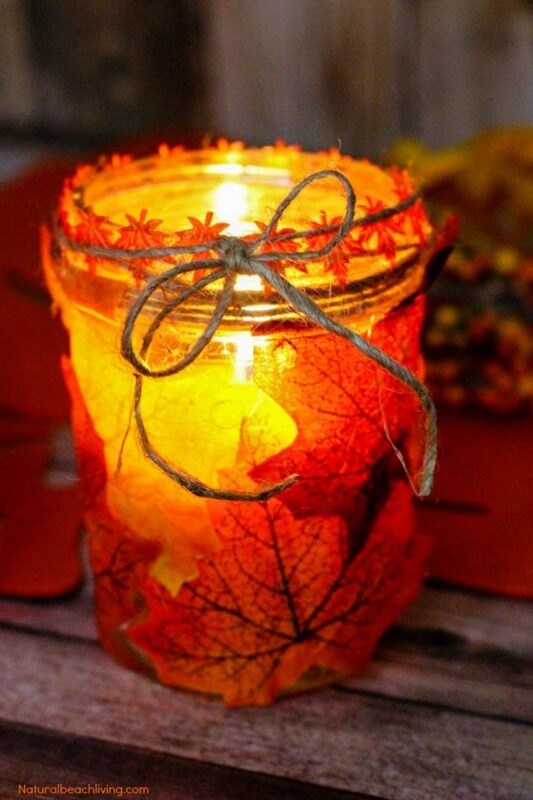 These Fall Leaf Mason Jar Candles from Natural Beach Living turned out so pretty, too. 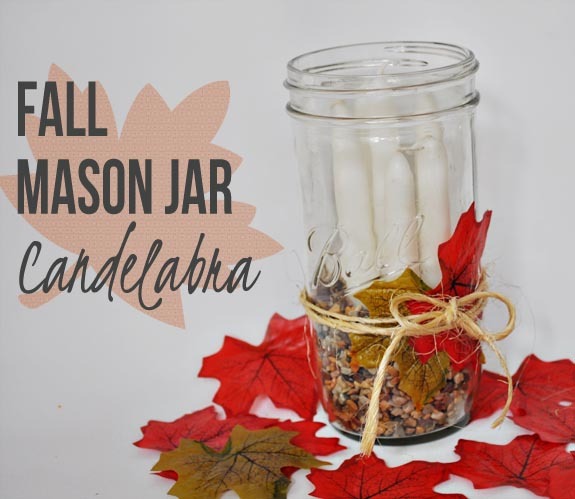 You’ll love these Fall Leaf Peekaboo Mason Jars from My Homebased Life. 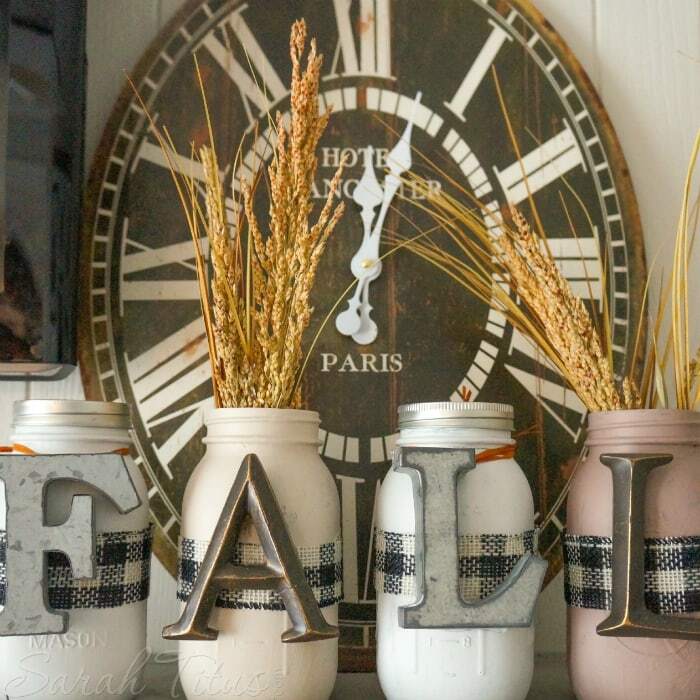 This Fall Mason Jar Craft from Sarah Titus would go perfectly on a Fall mantle. 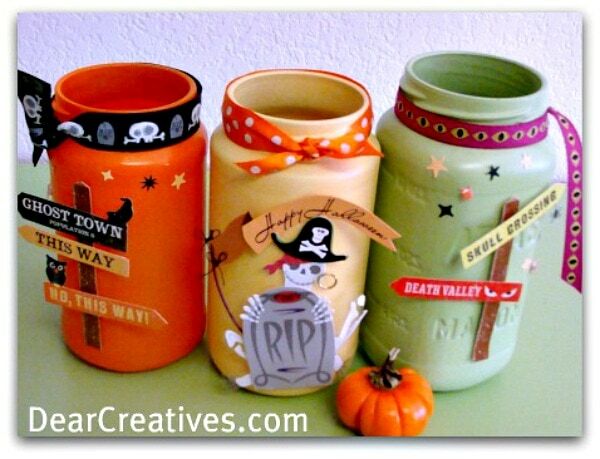 I love these easy Halloween Mason Jars that Mom Endeavors made, they double as candy holders, too. 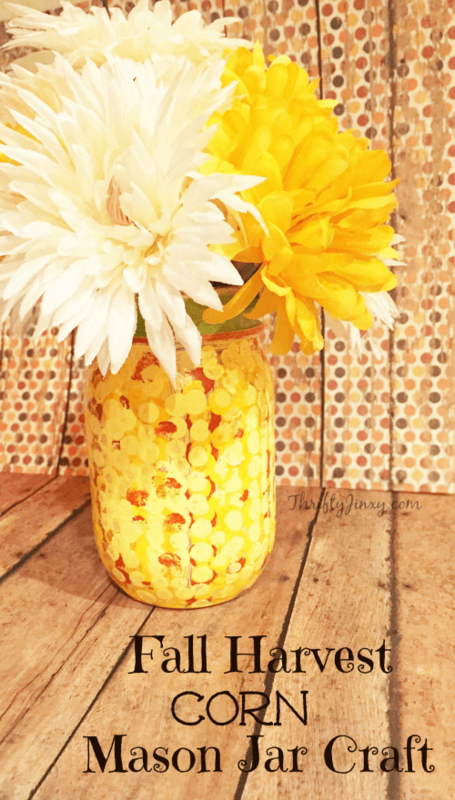 These Harvest Corn Mason Jars from Thrifty Jinxy are painted to look like corn and make a perfect vase for Fall flowers. 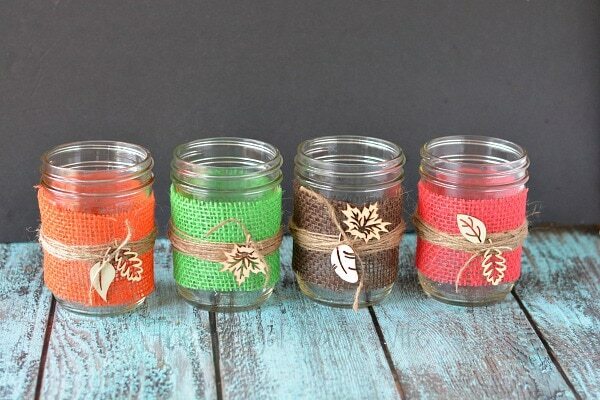 The Frugal Navy Wife made these Fall Burlap Mason Jars with wood cutout leaves, they are so cute! 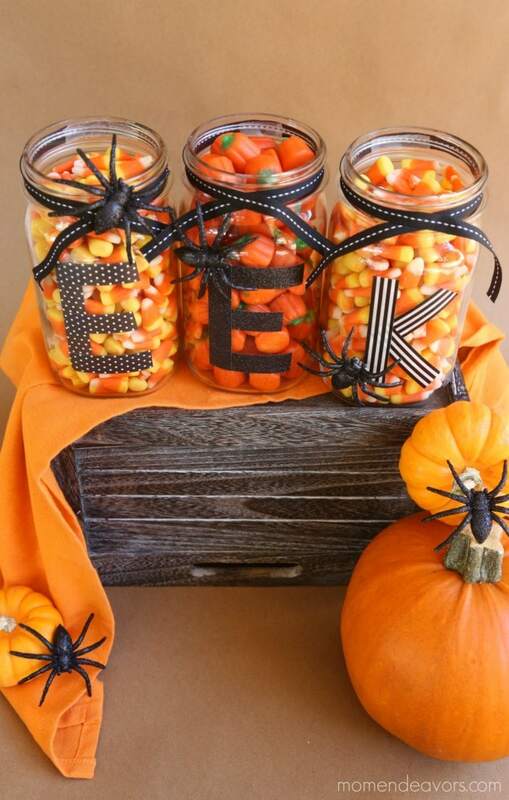 Here is a quick and easy Jar Pumpkins Craft from Sweet C’s Designs. 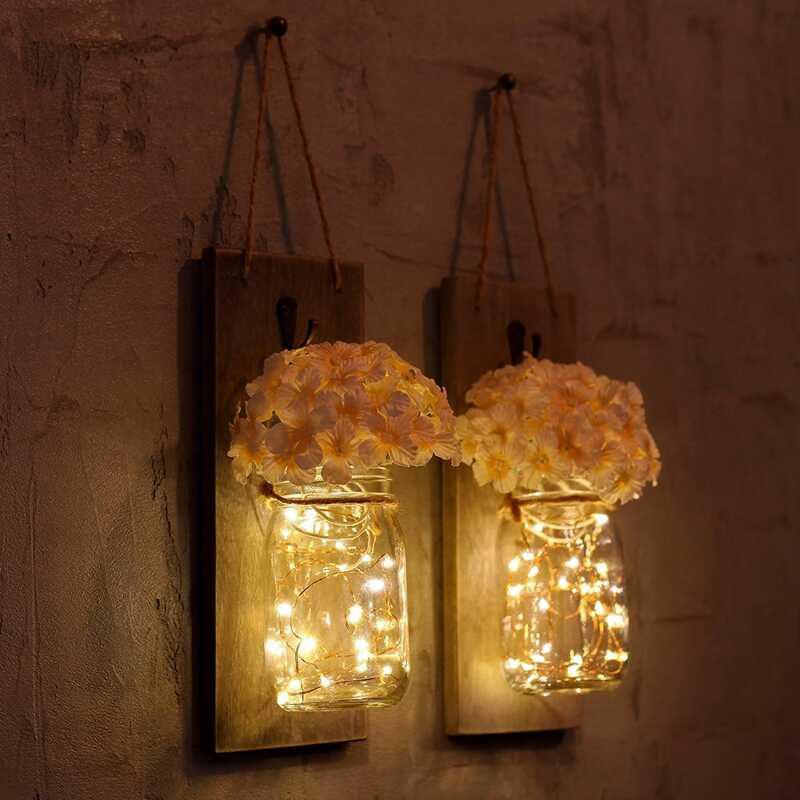 And finally, these Mason Jar Rustic Wall Sconces that can be purchased if you don’t have the time right now.